I want referral sources and their clients to know that with our group they are getting a team with a deep bench of talent – not just in the professional capacity, but also having been in their shoes. Other team members and I have owned/operated businesses. We understand real business problems and how your clients might deal with them. Stephen (Steve) Koons is known for his expertise in handling complex business and intangible asset appraisal, economic damage analysis and litigation services. He performs business valuations for divorces; dissenting shareholder/minority oppression actions; income, estate and gift tax purposes; and mergers and acquisitions. Steve also performs economic analyses for lost profits and damages cases, breach of contract matters, wrongful death/personal injury loss of earnings and asset tracings. He has provided direct testimony on economic damages, business and intangible asset valuations and other economic matters. 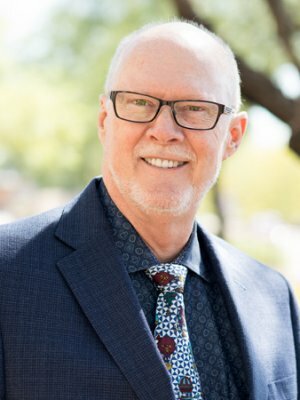 Steve has also served as a speaker for law firms, the Arizona Society of Certified Public Accountants and local bar associations. Before joining Henry+Horne’s Litigation + Valuation Services Group in 2007, Steve owned a boutique litigation and valuation services practice and a successful real estate development/home building company. He also worked for local accounting and valuation firms. When he’s not working, you can find Steve out to lunch with his wife, visiting family, on the shooting range, at the golf course or in the community performing services as an Arizona Ranger. Is it Time to Update Your Buy/Sell Agreement? Formula Gifts - The Time is Now!